Use Code: POP20 | Ends Soon!! Injecting a Bit of Pop into Your Pictures! Are you familiar with pop art? It is a style made famous by Andy Warhol and Roy Lichtenstein. Their depiction of famous personalities, movies, monuments, and emblems transformed how people saw art depicted in picture. Their use of single and multi Technicolor hues and shades to add prominence and image definition introduced people to pop art. However, the art form to depict pictures is no longer exclusive to portray popular subject matters, but you can use it to convert your pictures into amazing and splendid works of art. 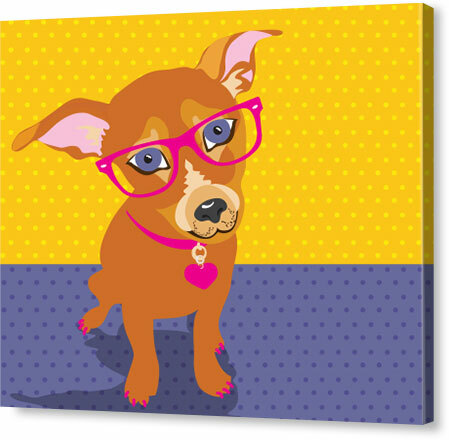 We offer three pop art styles, Andy Warhol, Roy Lichtenstein, and Pet-Glo. Select a pop art style you want, choose your size, select print effect, and that’s it. The lamination picture is optional. Once we have your requirements, we will turn your photo into pop art, from print effect conversion, printing, to canvassing. 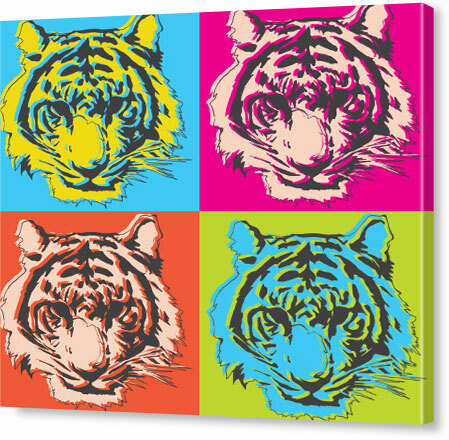 Each pop art option will provide you with a wide range of print effects so you there is no limit to your creativity! This pop art styles takes its inspiration from the great Andy Warhol, an acclaimed American artist of his time. The Andy Warhol Pop art style transforms a boring into an exciting and vibrant one by using vivid hues. One of the most requested pop art remains the Lichtenstein. If you want to make a serious picture funny, you need to give it a Lichtenstein pop art makeover. Sometimes, it is good to have a loud laugh. The comical way this Pop art presents a picture is absolutely impressive and creative. If you are giving someone the Lichtenstein as a gift, you will love the option of adding animation or text over the image. Move over humans, Pet-Glo Portrait is exclusive to your furry and cute little friend. You can turn your dog, cat, hamster, rabbit, and even your pet snake’s picture into a work of art. This type of pop art style incorporates bright colours, textures, and strokes. Give your pet a Pet-Glo makeover today! 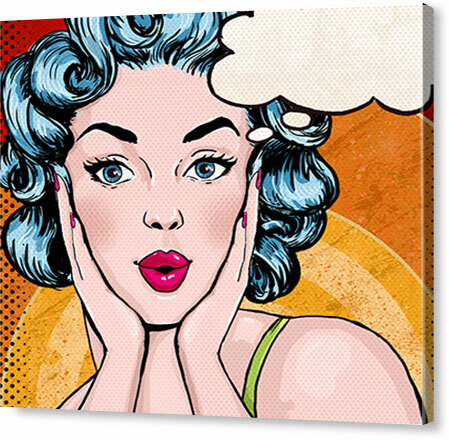 Pop art on canvas is available in several sizes, from small, medium, to large pop art canvas. We turn photo into pop art using high-tech technology and materials to ensure you receive a beautiful depiction of your picture. Our pop art technicians are like hawks when it comes to ensuring every detail on the picture is perfect. If you do not like what you see, we give you a 30-day money back guarantee. Fortunately, this does not happen a lot, as we deliver optimal quality at an affordable price. We have mastered the art of canvas pop art in New Zealand. 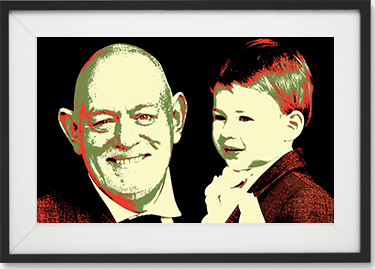 We are proud to say that we counted amongst one of the best suppliers of canvas pop art in NZ. Send in a picture to us today so we turn into pop art! Q: Hi! I'm wanting to have an andy warhol style with four different pictures. How should I proceed with my order? It seems to only accept one picture. A: Dear Sarah , Greetings! Thanks for getting in touch with us and for choosing Canvaschamp. Please note that you can place the order with one picture and mention in order comments that you want to use 4 different pictures and also generate the order ticket after order is place so that we can help you on your requirement. Please let us know if we can help you further. Kind Regards, Sam, Canvas Champ.